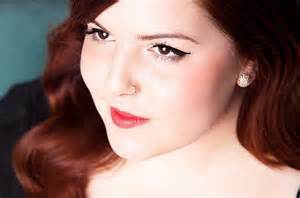 I’m really liking the Mary Lambert song “Secrets” at the moment, the chorus being “I don’t care if the world knows what my secrets are”. Such an incredibly brave stance to take, given the things she’s talking about revealing, and has revealed about her personal life aren’t of the “I like to fart in the bath and pretend its a spa” variety. Secrets like diamonds, can be graded from the hardly any bad bits to bright sunlight and a strong breath and the whole thing fractures into dust. Internally flawless secrets are hiding lollies from the kids and sneaking them in the pantry while they’re not looking. Heavily included secrets are more along the lines of “I murdered someone and stashed the body in the basement”. Not many people would have a problem giving up the first one, but anyone committing the second would tend to keep it to themselves. But like diamonds, the grade of secret is only part of it. Another big part of what makes a diamond is the size. Similarly, I think part of what leads to secrets being confessable or not lies in the level of fault that can be attributed to yourself. People are much more willing to confess to big secrets as long as it’s not their fault. The more you move towards things that you are directly responsible for, together with the grade of the secret, leads to you being less willingness to be open about it. This is because people are judgemental. I don’t think this is necessarily a bad thing, after all if we didn’t use our judgement we’d be still living in caves ruled over by the thugs with the biggest clubs. Judging things, weighing up the merits of our actions and others, teaches us how we want to live. What we actually want to stop is incorrect judgements about things and people. Being judgemental is natural and fine, what we do about it is more important. Not agreeing with abortion and making the decision that you wouldn’t have one yourself is using your opinion to form a framework for how you live your life. Applying that exact same framework to everyone else, regardless of circumstances, is where the flaw lies. Gen X-ers like myself tend to think that the next generation are all about exposing themselves. If they’re not sexting, they are posting videos on youtube or endless pictures on social media. I think this is probably a little unfair, given the amount of newly single post-forties people I know on Tinder (no I haven’t looked, given the rumour that most of the pictures are not of their faces. Some things you can’t un-see). Similarly, my facebook feed is constantly filled with pictures of whoever is currently on holiday. I literally have seen every meal they’ve eaten. As a side note, I don’t get this trend. Anyone can order a meal from a restaurant. No effort or skill has gone into it. If you haven’t put the time and effort into making it yourself, I don’t care. Letting the world know what you’re secrets are is fine and potentially liberating, but I can’t really see myself as someone who would let it all hang out. I’m far more likely to hide the big things away or let them be enacted by a character in one of my books. This is a confession of sorts, but nothing I have to own up to. Cowardly, possibly, but all writers need material and if you give away too much of it in public, there’s less left inside you to put on paper. I find when I’m deep into writing something difficult, it’s hard to stop from bringing it over into my personal life and vice versa. Writing about a married couple fighting in Saint Kate led to several tense moments with my husband but it also meant that what I wrote seemed to many people to be very real, because in a sense it was. So unlike the very brave Ms Lambert, I do care if the world knows what my secrets are, if only so I still have something to write about. I thought I knew what I liked when it came to music. There’s some variety there: I nod along to eighties classics, raise a hand to nineties house, shout along to noughties girl power ballads and attempt to rap with Iggy (I like to think I’m fancy too). Given my husband’s musical taste stopped in the late eighties and is limited to ACDC, U2 and Guns n’ Roses, I felt it was my responsibility to keep up to date with current music trends for the sake of my kids’ musical education. I felt I had succeeded when watching the school Kindy to Year 2 disco, where my boys were right at home and grooved along with the girls to the latest hits played by the DJ. There has been a recent, very troubling development though. I’d like to say I could trace it back to my childhood and the deviant tastes of my parents, but it was the odd humorous/folk musings of Harry Neilsson or Welsh tenor Harry Secombe that was played with alarming regularity in my formative years. Frankly, I’m surprised I turned out as normal as I did, given the number of times I heard “Put the Lime in the Coconut”, which contains the very misogynistic lyrics “you’re such a silly woman”. I’d like to say we’ve come a long way, but I’ve seen music videos in the last decade and I think it’s gone backwards. There’s nothing like an 80’s retro set on MTV to make you realise how G-rated those videos we grew up on were. The clothes might have been appalling, but at least they were there.